Rent our mobile apartment on 4 wheels. 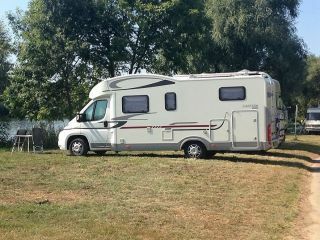 Our camper is a nice spacious camper. Always nicely cared for and fully equipped. Actually it is an apartment on 4 wheels. 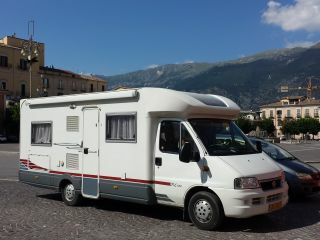 The camper is a so-called broad track (good for some extra space in the width) has a 2.3 liter Fiat Ducato diesel engine. The air suspension provides extra driving comfort. The kitchen is lacking nothing, the whole device is 1 year old so also the full automatic dish and Led TV. The camper has 2 solar panels, a reversing camera and a Zenec audio / navigation system, a full-width screen and a large garage. 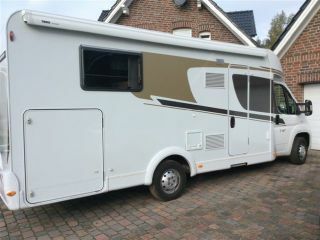 In short THE camper for a nice holiday. Fines are for own account. Camper must be returned with a full tank.